Typical Lake Alice rainbow trout caught, in this case, on an orange streamer. The right hand photo shows the view from the boat launch. A quiet spot that happened to be the first place I caught a fish in Washington. 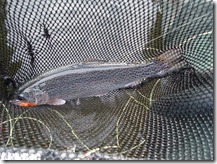 Typically I’ve used simple streamers pulled slowly through the water; slow or near stationary nymphs or small dry flies seem to work fine too. 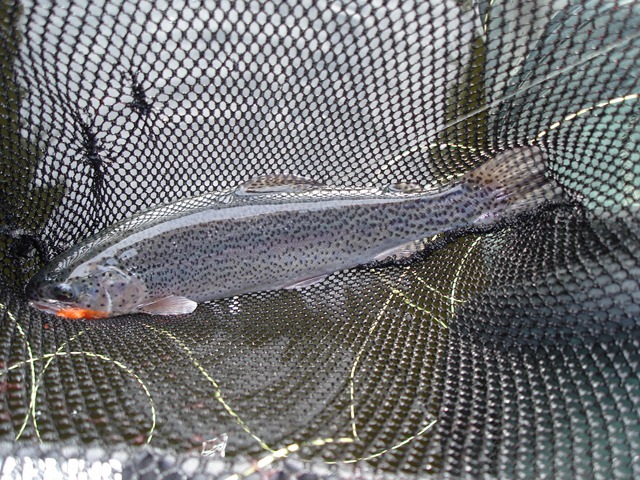 I’ve had perhaps the most enjoyable take of a nymph on Lake Alice when I saw a trout feeding about 25 yards away working along in a line about a foot below the surface and causing the surface water to churn. 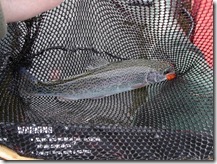 I casted 5-6 yards ahead of the fish with a bite indicator that suspended the nymph about 18″ below the surface. I then watched as the trout made successive takes under the surface moving directly toward my fly – each time I counted down 3, 2, 1 – bang. The indicator shot down and the fish was hooked. 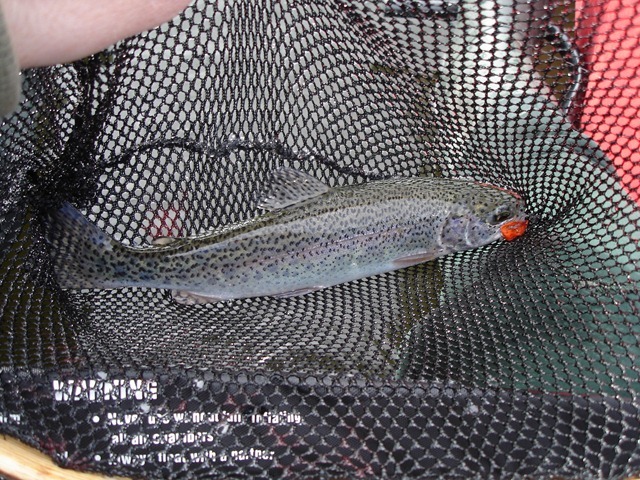 It turned out to be a rainbow trout about 15″ long. Mirror Lake is an hour or so hike from the the nearest road. The water is crystal clear and, even in July, was surrounded by snow. 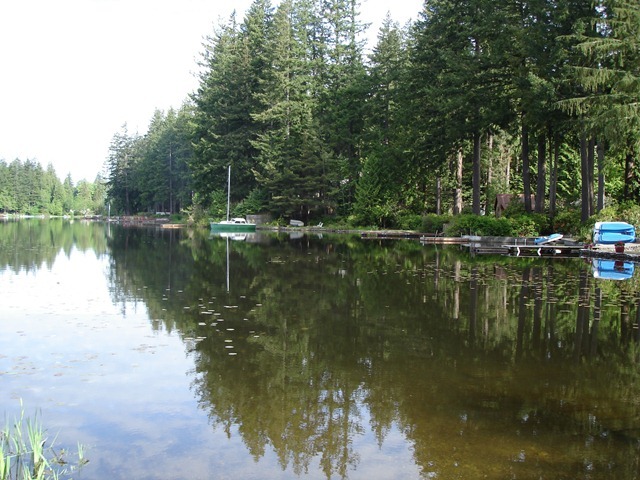 Given its relatively remote location few people venture there to fish. The scenery is breathtaking. Cathia, David and Lila treated us to a lovely boat trip on lake Washington and Puget Sound. We had a delicious meal overlooking Winslow’s marina followed by a gigantic ice cream at Mora.